Clanton, Alabama native Joe Groom was born on October 7, 1934 and passed away at Bethany House in Auburn, AL on February 3, 2019. A Burial Office and Holy Eucharist service will be held at Holy Trinity Episcopal Church in Auburn, Alabama at 10:00 am on February 5, 2019, with a reception to follow. He earned three degrees in music education from Auburn University. He served as a choral director, band director or music supervisor at churches and schools in Eufaula, Opelika, Phenix City, Sheffield (AL), in Columbus (GA) and Cookeville (TN). He retired in 1989 after 23 years as Director of Choral Activities at the University of North Alabama in Florence, and followed his wife to Cookeville, TN, and Bowling Green, KY, before moving to Waverly, AL, in 2013 to live the good life surrounded by family and old friends. His career as a choral director allowed him to present his choirs in international choral venues and to perfect his “pied piper” reputation as a consummate musician, demanding excellence in his music-making from his singers, as well as knowing all of their names and hometowns. He loved to conduct the major works of the great masters, including Bach, Handel, Saint-Saens, Gounod, Beethoven, Poulenc, Mozart and Mendelssohn, and convinced his singers to bring this music to life. He returned as a guest conductor to UNA several times to conduct a gathering of his Collegiate Singers alumni. His gregarious personality resulted in his singers calling him “the Chief,” and he has imprinted lifelong choral and personal memories on thousands of his students and church choir members in the Southeast. Even though he enjoyed the worlds of raising sheep, training border collies, riding and training Tennessee Walking horses, and managing groups of people as they cruised the Caribbean, staying in touch with his friends via phone or visits was always at the core of his being. 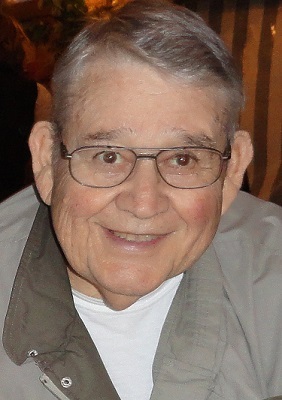 This patriarch is survived by his wife of 40 years, Mitzi, son Joseph, and daughters Sam (Jimmy) Taylor, Louise (Michael) Cardoza and Gwen Ingram, 8 grandchildren, and 6 great-grandchildren; brother-in-law, Steve Danker, and nephews, Raymond Danker and Paul (Alix) Danker. Memorial donations can be made to the Joseph Groom Endowed Choral Scholarship, Office of University Advancement, UNA, Box 5113, Florence, AL 35652.